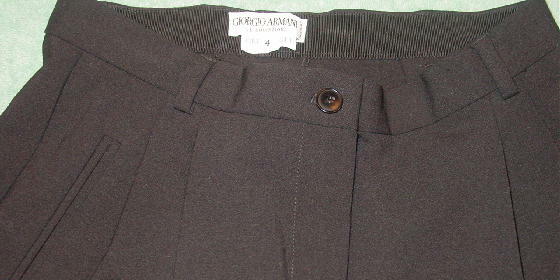 These black (feels like a synthetic and lycra) pants are by Giorgio Armani Le Collezioni and were made in Italy. 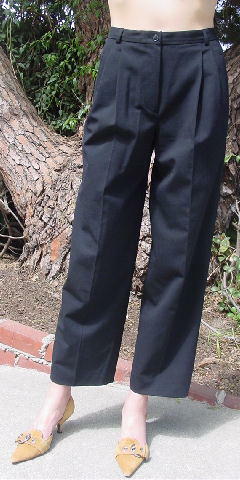 They have a 6" long zipper fly, 1 1/4" wide waistband, and a black interior and exterior waist closure. 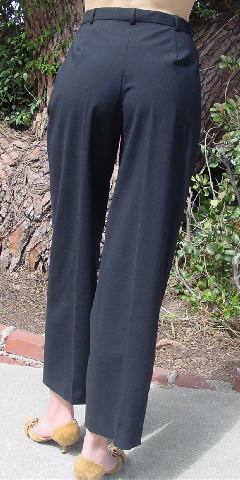 The upper front has two pleats and two diagonal slash pockets, and there are belt loops.